Gerflor will be displaying a selection of their leading World-class products including their Red Dot Award-winning Creation 70 LVT. Beating-off more than 5,000 entries from 57 countries, Creation 70 flooring was recognised for its range of mineral, wood and textile designs with different embossed finishes, its different installation systems and its solution-based usefulness for renovating existing floors, together with its high recycling properties. The sophisticated Creation 70 range offers a brand-new palette of realistic wood and mineral finishes in tile and plank formats with beveled edges. In addition to this, the looselay Clic System’s unique vertical interlocking format allows this product to be laid quickly over most existing surfaces, with no need to close premises during refurbishments saving customers time and money. Perfect for the retail, hotel, hospitality, administration or leisure sectors. By leveraging its technology to achieve excellence, Gerflor has reinvented vinyl tiles and planks to produce some outstanding design-led results. Taralay Impression Control from Gerflor won the 2016 CFJ/CFA product of the year category with their Taralay Impression Control range. This safety flooring collection is perfect for both refurbishments and new builds. A multi-purpose floorcovering available in 2m sheet format with a Group T wear rating, it’s ideal for a host of heavy traffic environments where slip resistance is a must. Available as a dual collection: – ‘Safety in Wood’ and ‘Safety in Design’, the range includes realistic woods in contemporary colours and modern all over designs. It has a Pendulum Test value +36, meets HSE guidelines (BS 7976-2) and R11 ramp test value (DIN 51130), together with providing 24 design-led colourways and is suitable for healthcare, education, retail, public spaces, offices and other commercial interiors. Taralay Impression Control also offers a hygienic solution thanks to a revolutionary UV cured PUR surface treatment for easy cleaning and maintenance. 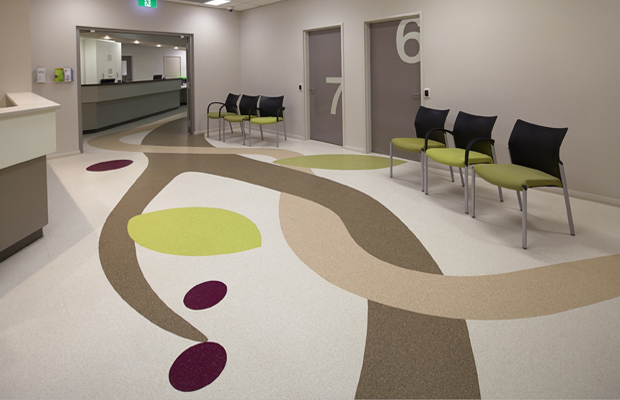 With the Protecsol® Control surface treatment it’s easy to clean, is 100% recyclable offers a state-of-the-art flooring solution for a host of applications. Taralay Premium Comfort and Compact from Gerflor provide the perfect solution for heavy traffic areas in a raft of varying market sectors. Delivering a designer’s dream is a challenge well-met by Gerflor as they offer up not only stunning designs, but also the levels of comfort and safety that every designer and architect requires. The range offers freedom in design, enabling designers and customers to build their own unique projects. It’s a demanding world where designers and architects want only the best for their clients and that’s where Gerflor’s Taralay Premium range scores top marks right across the board. Learn more about Gerflor solutions; ask for a free sample or contact us to speak to a specialist today by calling 01926 622 600, emailing contractuk@gerflor.com, or visiting gerflor.co.uk for the latest innovations. Gerflor has a local manufacturing site in Ireland at Carrickmacross.